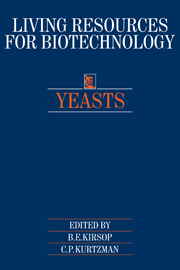 This series of source books has been assembled with the needs of scientists using microbiological investigations as tools in biotechnological investigations in mind. When starting to handle bacteria, filamentous fungi, yeasts, algae, viruses, animal and plant cells, research workers are faced with a number of questions. Where can the material be obtained? Who will supply basic information about its use and preservation? Are there identification services available? How is material deposited in gene banks? How are patents taken out? Are there centres that will carry out contract work? What safety regulations should be taken into account? What organisations exist to help and what are their functions? The authors of this series are drawn from all over the world, so that the information is of universal relevance. This is the first time that such data have been drawn together in single volumes and they will be valuable to workers in universities, research institutes and industry.